(AGA started earlier) based on Tolkowsky‘ proportions. 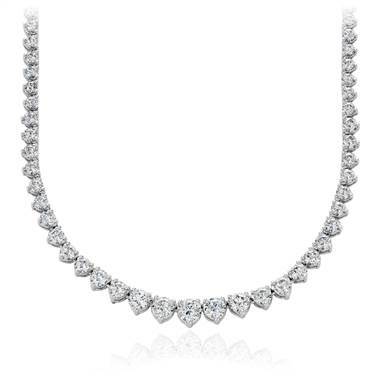 grade of GIA diamond; it was synonymous with “ideal cut”. manufacturers and not the basis of grading. Stones must not breach certain ‘bad proportions’ and finish rules outlined below (this chart is indicative, but not the same as later AGS copyrighted versions). Diamonds are rated for each of these criteria and the lowest score sets the final grade. 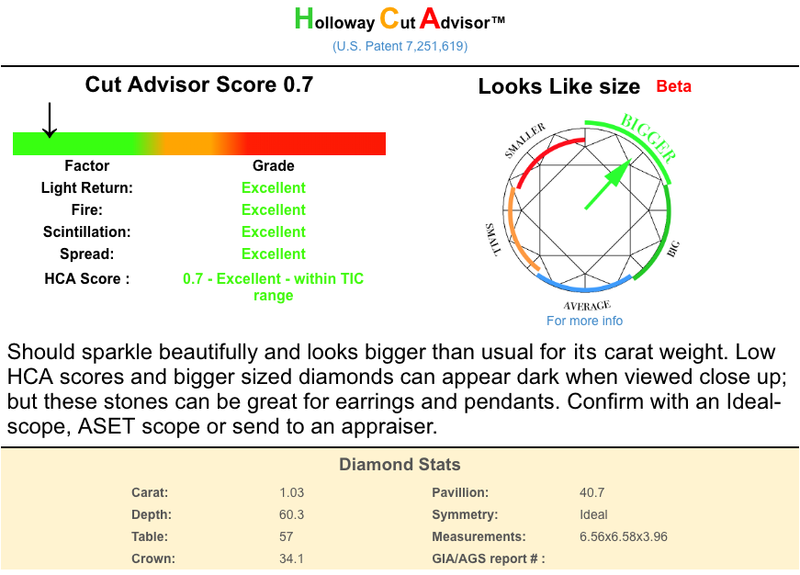 Brightness: A high Light Return is required from a 3D scan of each diamond imported into the AGS version of DiamCalc. Fire (Dispersion): AGS have designed their own Fire software that produces images like the one below. One day AGS might print Fire and ASET images (like the one in the DiamCalc simulation above) on certificates. Leakage: AGS used a leakage calculation based on the older version of DiamCalc. Contrast: We expect Contrast will be similar to DiamCalc. AGS’s new software does not work for all stones, so they will also use human grading based on ASET images. girdle is about 1.7% thicker than the scalloped valleys (where they were measured previously). AGS grades will be based on the percentages below. Culet size: AGS 0 – None to Medium, Slightly large – 2, Large – 5, Very Large – 9. 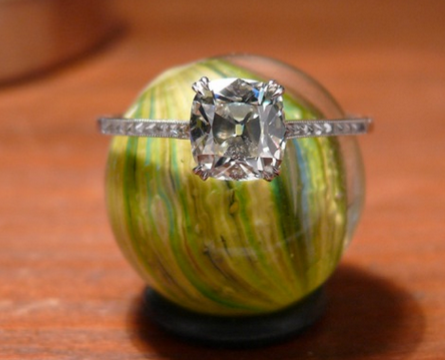 Spread: For rounds the DiamCalc factor should must be within + or -5% about 6.35 to 6.6mm for a 1.00ct stone. Princess spread factors should not be worse than -25, or about 5.3mm square. Tilt (fish-eye): This is the amount of tilt to when you can see the girdle of a stone, from the face up position. The Fish-eye calculation on DiamCalc must be higher than 6°. AGS have a complex manufacturers guideline charts that show approximate table size and precise angles for pavilion 1, pavilion 2, crown 1, and crown 2 (which unfortunately are not given by Sarin and Ogi scanners).